Catching up with Harley Quinn’s Revenge! 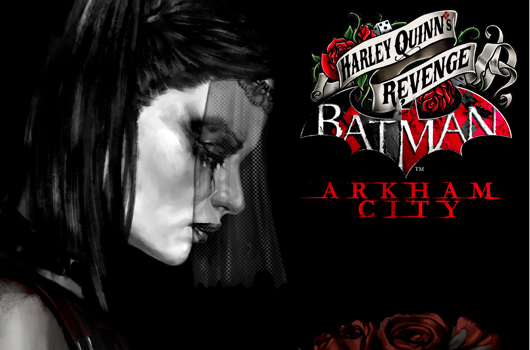 Some things are worth waiting for and the DLC for Arkham City, Harley Quinn’s Revenge, is one of those things. You can check out my previous posts to see my views on Arkham City as a whole, but the latest Downloaded Content puts you back into the city after the main story has ended. The GCPD has blocked off the Sionis Steel Mill but not before Harley has taken several GCPD men hostage so it once again falls on the shoulders of the Caped Crusader to save the day and put Harley and her thugs away. If you’re like me, the “Challenge Maps” of Arkham Asylum/City don’t hold much interest, so before now I have not played as Robin and I have to admit it was both fun and kind of easy. Robin fights with an extendable bow staff that sees you beating thugs senseless from a short distance as opposed to the close combat of Batman. While Robin has fewer gadgets than our dear Dark Knight, some of his gadgets like the flash bangs and the bullet shield certainly come in handy. 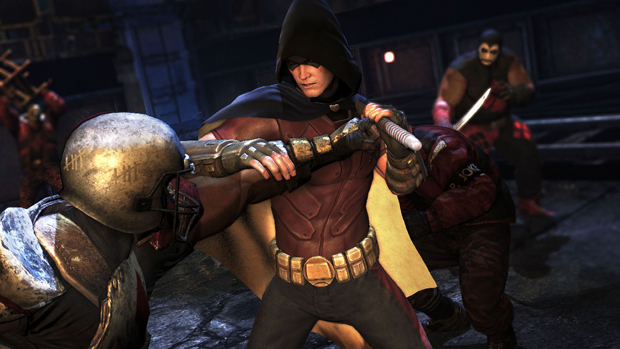 You almost have to become Robin to fight the bad guys. In several situations the bad guys are armed with sniper rifles pointed straight down a hallway in your direction, how do you take them out? Remote control shiruken/batarangs of course! Playing as Robin was a big highlight of this for me, as was being back into Arkham City and feeling like time has passed since our last venture in. The downfall? Harley Quinn’s Revenge is pretty short and you’ll be finished before you know it.It also lacked any real “boss battles” so there didn’t seem to be much in the way of any challenges. The DLC was pretty easy to beat and with the exception of a section that has a 5:00 time limit that there was no real challenge to this…well…challenge. The DLC does however give a few more “hints” towards what could be in store for the next installment of the series, keep your eyes peeled for a few posters, signs and pregnancy tests. Even the way Batman and Robin interact is something that will hopefully hint at the coming game. If you are unaware, rumor has it that Rocksteady’s next installment in the Arkham series will be a prequel about the first time Batman ran into the Joker and may even feature appearances from the Justice League. 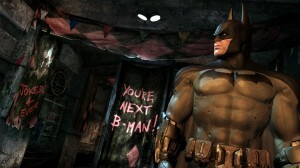 So it may be a few years before we see an official sequel to Arkham City. Later this week we’ll take a look at some of the Easter Eggs from the game and it’s DLC and see if we can guess about what is to come from the eventual sequel! ← Kingdom Hearts HD 1.5 Remix set to come to the PS3.